Our AR-15 Pistol Upper complete with a M16 Full Auto nickel boron bolt carrier group and a Mil-spec forged upper receiver. The Parts are precision Machined to close tolerances. The matching colored upper and handguard creates a cool look, while being a pistol system makes the weapon very versatile in close contact. 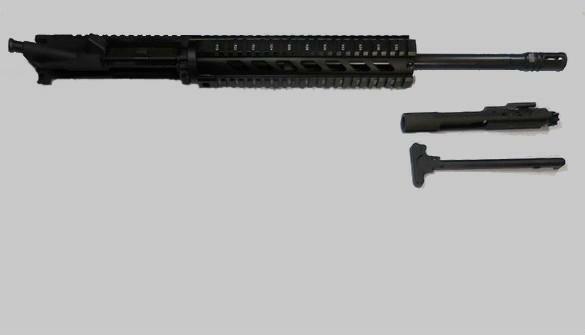 The assembled upper has an extruded aluminum 6061 T6 Machined AR-15 keymod handguard Rail then coated with Cerakote Gun Coatings. 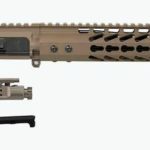 This 5.56 Pistol Upper starts with a military grade AR-15 upper receiver and USA made accessories including forward assist, dust cover, flash hider and barrel. 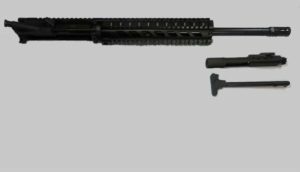 The Barrel is button rifled with a 1×7 twist rate then nitride coated giving the rifle barrel more accuracy and longevity. 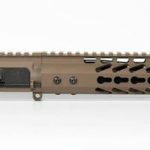 The AR-15 pistol upper by Daytona Tactical includes a keymod rail system to accept different parts from many manufacturers across the country. Barrel Steel: 4150 Chrome molly Nitride Processed. 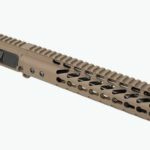 10″ Flat Dark Earth SLIM Keymod. Gas Block: steel Low Profile Gas Block. 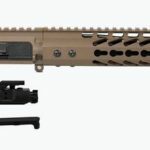 Upper Receiver: M4 Flat Top Upper receiver Flat Dark Earth. Bolt Carrier Group: M-16 Nickel Boron Coated bolt carrier group. Charging Handle: Military Spec hard coat anodized Included. 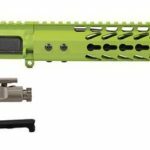 Daytona Tactical test fires All custom AR-15 pistol uppers to verify cycling. We Cannot guarantee cycling with all Rifle ammo due to differences in the quality. Daytona can only warranty cycling with our upper receivers using US made quality ammunition. We will not warranty cycling with imported, steel cased or reloaded rounds.